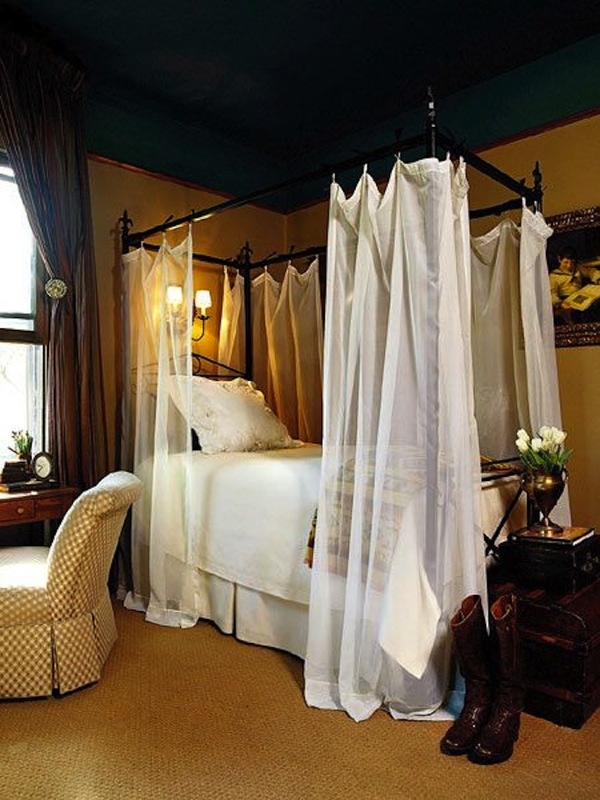 A beautiful wrought iron bed can be the beginning of that charming bedroom retreat you envision. From sleek and modern to totally traditional, there’s a iron bed to suit every interior style and every size bedroom, large or small and any Leesa mattress. 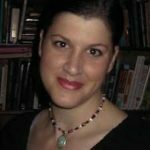 Here are some of the spaces we love and tips for creating your own cozy get away space that includes an iron bed. 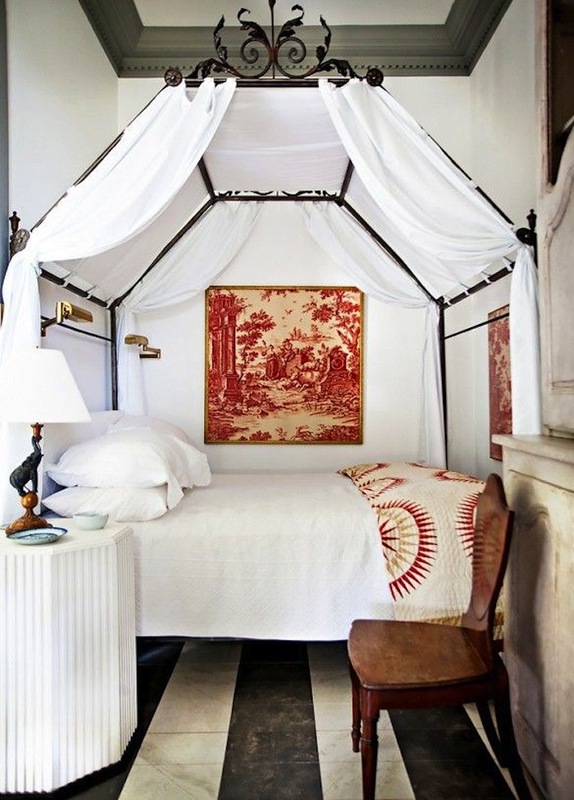 An iron canopy bed with simple lines can be the basis for a cozy bedroom with lots of personal style. Choose your color palette and your accent colors. The red rug seen above adds a lovely vibrancy to this space. An antique bed with tall headboard and lower footboard is just right for the vintage bedroom. 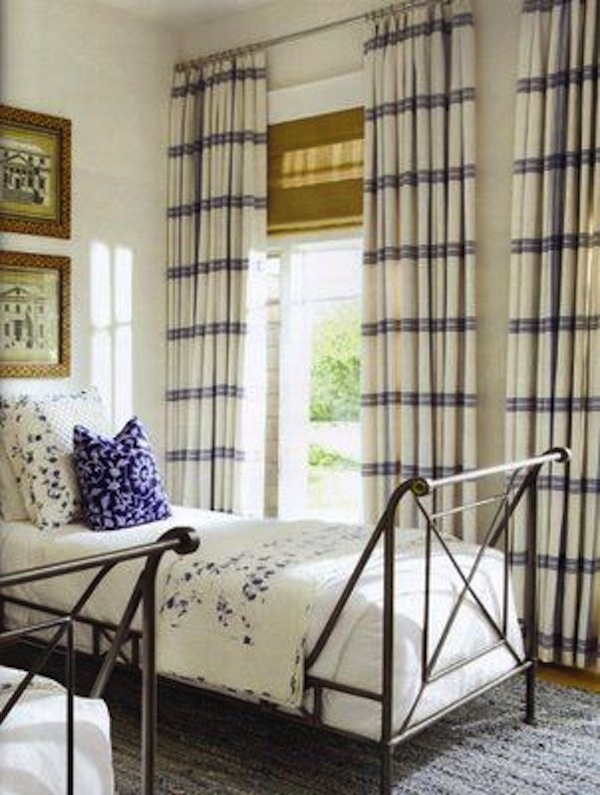 Even a tiny bedroom can handle a wrought iron canopy bed with white curtains and linens. Accents of pattern in red and gold look elegant against white walls. 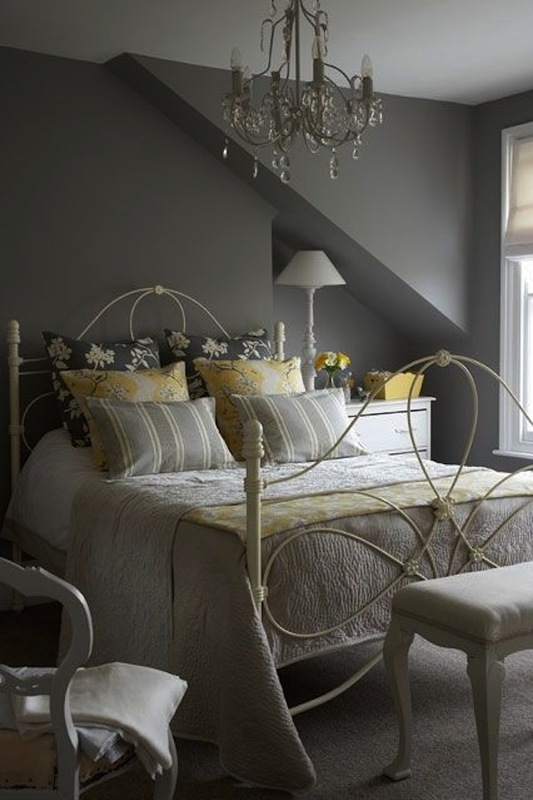 A cream painted iron bed is beautiful dressed in gray and yellow. A crystal chandelier adds a feminine glam touch. 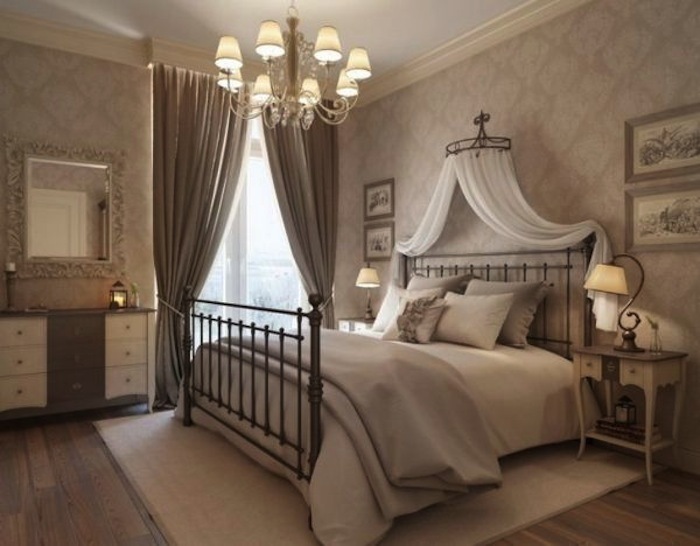 This neutral setting seems perfect for an iron bed and crown canopy with sheer flowing swag panels on the wall. 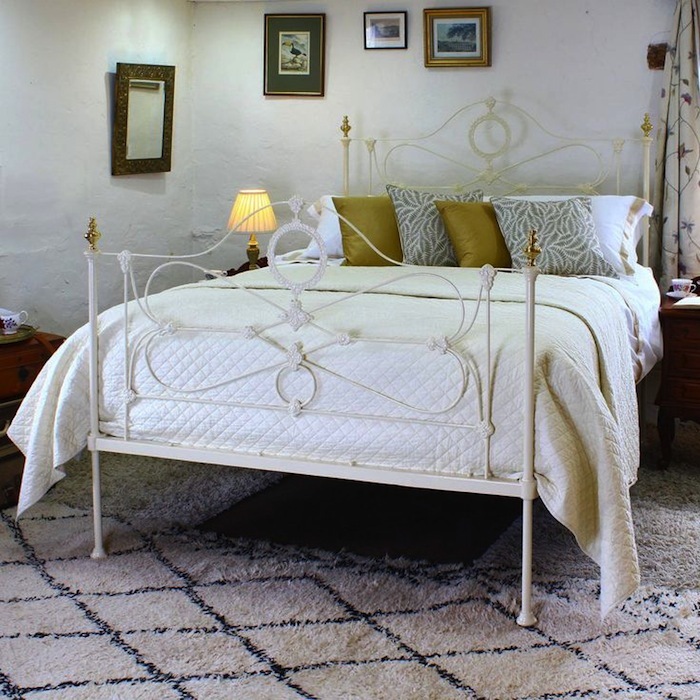 We love this delicate white iron bed with gold finials on the posts. A bed like this can handle almost any color combination. 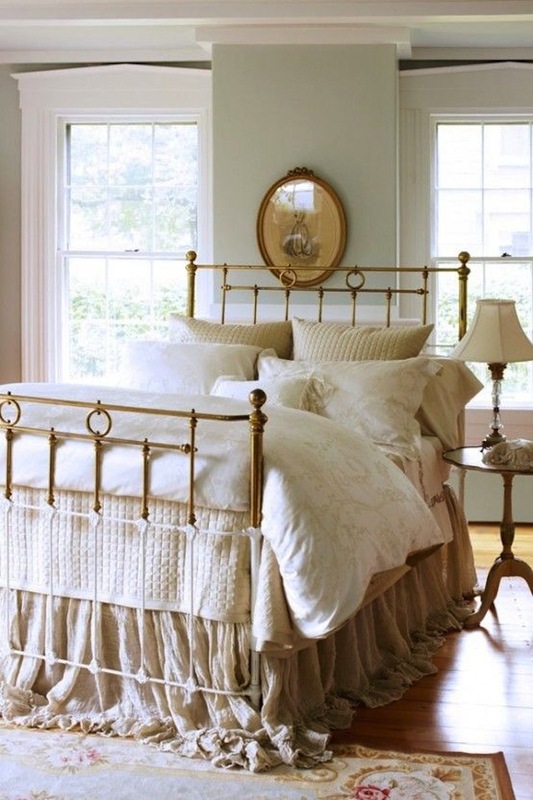 White iron and brass make for an excellent duo on this beautiful bed piled with feminine linens, comforter and pillows. A gauzy puddled bed skirt is a lovely final touch. A tall canopy bed seems to make a lot of us think buy a bed? 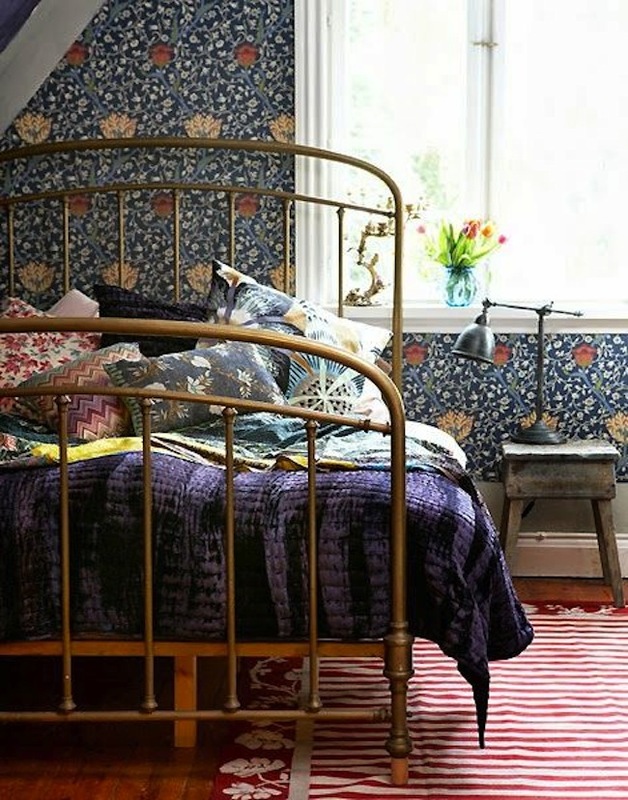 And it is just right for this Bohemian chic space. During the day, all sorts of colorful toss pillows would work well here. 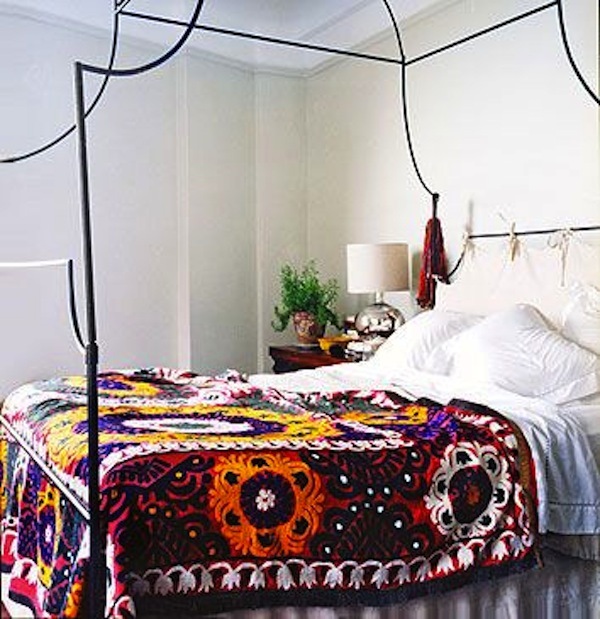 The space above shows just how versatile a black wrought iron canopy bed can be. 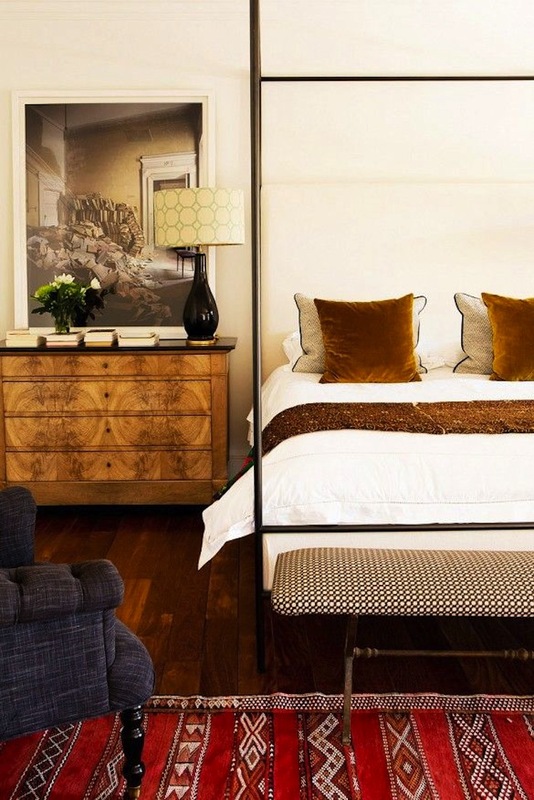 Bedside tables or chests in wood, iron or mirrored finishes will work beautifully. And bed coverings and linens of all sorts, colors and patterns can look stylish with an iron bed. Twin beds (or a single bed) can be gorgeous draped in sheer white in a small traditional bedroom. 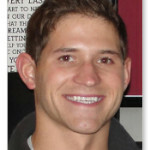 We love the trunk and its companions at the foot of the bed. Image Sources: DomaineHome.com’ Pinterest.com; StyleCaster.com; HouseAndGarden.co.uk; RealHouseDesign.com; DigsDigs.com; PopSugar.com; CountryLiving.com; MyHomeIdeas.com.